The upcoming workshops below are for you to get a direct experience of the work I am offering, You can choose one or try all the workshops. Details of venue and dates will be published soon. 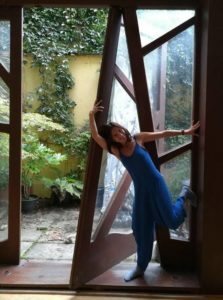 This workshop/warm-up is an invitation to a journey into embodiment and presence through the experiential anatomy and somatic movement of Body-Mind Centering®. Following BMC® principles, we will dive inside the body and its various landscapes of systems and cells, tissues and fluids, bones and flesh. With the curious attitude of an explorer, we will use imagery, movement and conscious touch to inspire, inform and transform our movement qualities, bringing our unique dance into expression, into space and into relationships to others.This class is for anyone aiming for greater awareness of the body and for more freedom in movement and expression. It will last one hour and to follow there are barefoot dances with DJ music. Location: Veranstaltungssaal, Kirche am Gaußplatz 14, 1020 Wien. Grounding to earth and expanding into the sky through our limbs. 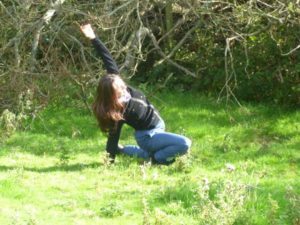 An outdoor Dance & Somatic movement workshop, following experiential anatomy and the Body-Mind Centering® principles. The invitation is to guide you on an imaginary journey inside the body, with an open and curious attitude of an explorer. Through movement improvisation practice and somatic awareness tools, we will tune to a specific system of the body (cells, fluids, bone structure, organs) to find out how it works and function and we will embody its quality. The aim is to turn all inside-out and bring the experience of the inner-body, into the outer environment through a dance expression, as well as creating a bridge between those two realms that can support us while moving and acting during our daily life. – Structure & flow, connecting to our bones & fluids. – Between the land & the body, listening, responding, expressing. Workshops for pregnant women and aspiring mothers in preparation for giving birth and becoming mothers. 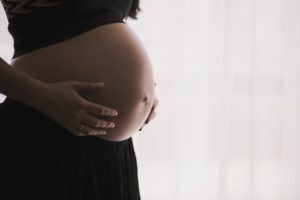 You are embraced as a whole a person and taken on a journey through the changes of pregnancy while accompanied in a somatic transformative movement exploration. 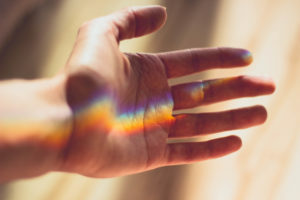 We will use body awareness and movement tools based on experiential anatomy and embodiment practice as well as apply nurturing gentle massage techniques and guided visualization. The aim is to help you tune with your body and your baby and to listen to your needs, to support your wellbeing process as well as promote a positive state of mind. We are bringing our focus to the sense of touch which is the first to develop and our earliest mean of communication from the uterus to the arms of our mother. The workshop will offer opportunities to explore different types of touch and how those can impact us and bring us in different mind states. We will practice how to connect our touch to different layers and systems of the body like bones, fluids, muscles, nervous system etc. We will learn some nurturing touch and massage techniques, practice in partners, receiving and giving, in mutual support of our well being. Touch will happen with our clothes on.